This is part of a “Mission” series where I set a goal and work to meet it. Tips/suggestions/motivation welcome! This is embarrassing. I can’t ride a bike. It’s late afternoon. You’re in a neighborhood park. Or your driveway. You’re on your bike without training wheels for the very first time. Your dad is balancing and gently pushing your bike from the back. Frightened, 6-year-old you pleads with him not to let go. But he does and you pedal off into the sun setting over the playground. My dad never let go. He doesn’t know how to ride a bike either, so he acquiesced my pleas. Over the years, probably out of fear, I grew to hate bikers. I fear them in my capacity as a driver, as a walker, as a human. 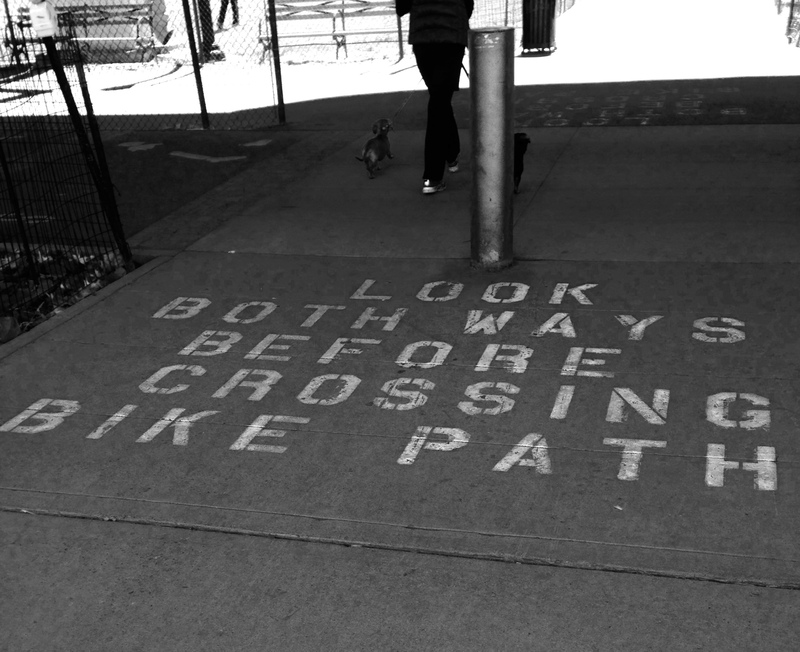 I can’t understand what a biker is thinking. They just zoom about on these precariously narrow moving wheels. They squeeze between cars, and behind truck drivers who can’t see them. How and why do they tote more than their body weight in a messenger bag? Are bikers supposed to follow the same traffic laws as cars? What is the advantage of wearing a full-body spandex onesie? Well the bigotry ends now. 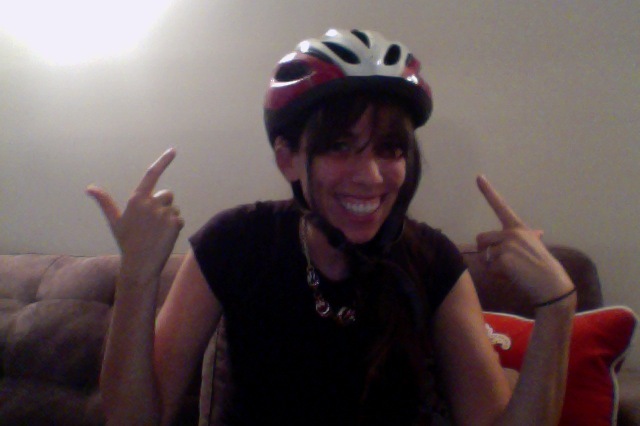 Mission #1: I’m going to learn how to ride a bike. Safety first! Apologies for the bad photo quality but I’m not ready for outdoor-helmet wearing yet. That’s right. I am going to be on the newest MTV show True Life: I’m an adult with training wheels on my bike. Where on the Upper West Side can I buy shin guards?